Dee Prince celebrates with her granddaughter Haly Boothe and baby Avyonna, who is finally home. Photo supplied by family. 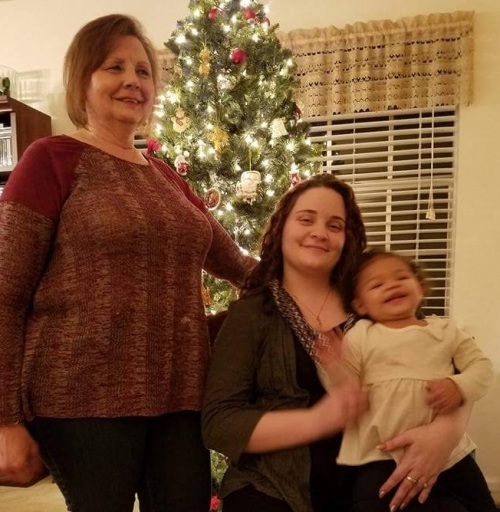 Baby Avyonna was a newborn nursing at her mother’s breast when Alabama social workers seized her from the hospital and placed her into foster care almost 2 years ago. Now, finally, she is home with her parents Haly Boothe and Anthony Lett. She was taken by Shelby County Department of Human Resources (DHR) just 3 days after she was born. There were no allegations of abuse or neglect. 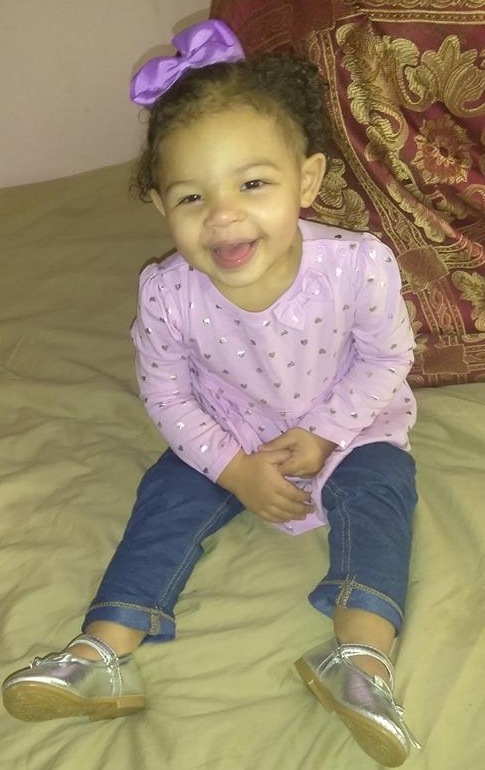 Avyonna was taken because DHR said they had a pick-up order. 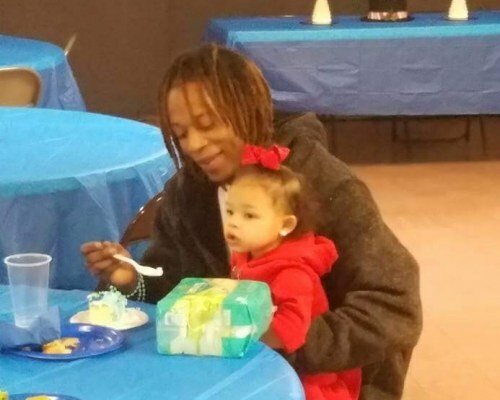 Social workers believed they had the right to take the new baby since the department already had Haly’s other 2 children Haydn and Ka’Myia in custody. 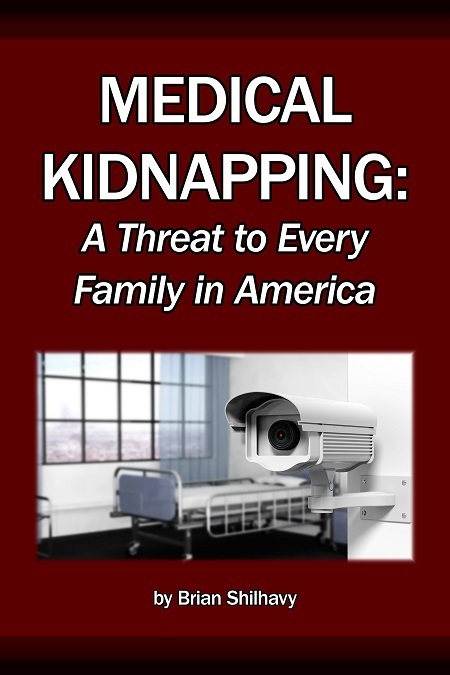 During the course of the family’s involvement with DHR, it became clear that the department had been planning all along to adopt Avyonna out. It was never about anything that Haly or Anthony did or didn’t do. It was a foregone conclusion that the people who were adopting her siblings would adopt Avyonna as well. 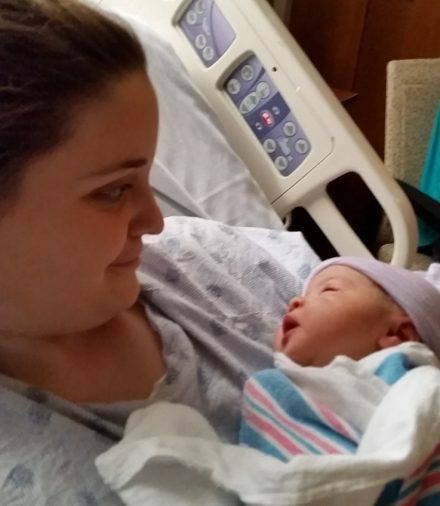 Haly with newborn Avyonna before she was seized from her without a court order or warrant. Photo supplied by family. 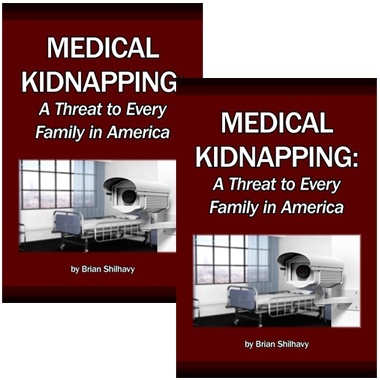 It was not until media attention from Health Impact News began to shine the light on what was happening with Shelby County DHR that there was any progress toward getting Avyonna home. Health Impact News was in the process of investigation of their story when Shelby County DHR seized the newborn baby of Haly’s sister. Baby Braelon’s story went viral and garnered international attention. Justice has been slow in coming for the family, but it is happening. In November of 2017, grandparents Dee and Rodney Prince were finally cleared of the false allegations leading to Baby Braelon’s seizure by DHR. Avyonna’s case was moved to Chilton County last year, and things began to dramatically change. At the end of October, we reported that a Chilton County court ruled that Avyonna was to begin the reunification process to go home. The family, including Haly’s grandparents, Dee and Rodney Prince, were overjoyed, but cautious. There have been a number of cases where families are promised reunification that never materializes. After seeing so many lies from those within the system, they recognized that a monkey wrench could still have been thrown into the process. Unsupervised visits began for the first time on October 27. Avyonna spent Thanksgiving and part of the Christmas holidays with her family. As of January 5, 2018, she is home for good. The family is due to go back to court on March 1 to close out the case. We spoke with Haly’s grandmother Dee Prince, who has fought valiantly for her family over the course of many years. She has cried many tears and prayed many prayers. Avyonna is home, and she is happy all the time. Photo supplied by family. She was taken directly from the hospital at 3 days old and placed into a foster home with her older brother and sister. She is now 20 months old. Until recently, she had never even seen her own home. She only had visits with her parents that were supervised at the DHR office or fast food restaurants. Still the bond remained. Avyonna has always known who her real parents are. Experts in prenatal psychology affirm that even babies taken at birth have an indestructible bond with their biological mothers that no separation can completely sever. Babies bond with their mothers while they are gestating in their mother’s womb. Dee says that Avyonna is very happy to be home, and everyone is enjoying being around her. She says that she sees Avyonna’s father Anthony takes great delight in her, and that Haly smiles now more than she has seen in years. Anthony clearly delights in his daughter. Photo taken at a recent church event and provided by family. No. The only problem at nighttime is that she doesn’t want to go to bed. She just wants to stay up and play! She is grateful that, in Avyonna’s case, the foster parents did truly love her and care for her. Too often that is not the case. Federal data shows that children in foster care are at least 6 times more likely to be abused, raped, molested, or killed in foster care than they are in their own homes. Avyonna’s older siblings were abused in their prior foster home. Since she has been home, Avyonna has asked about her siblings. 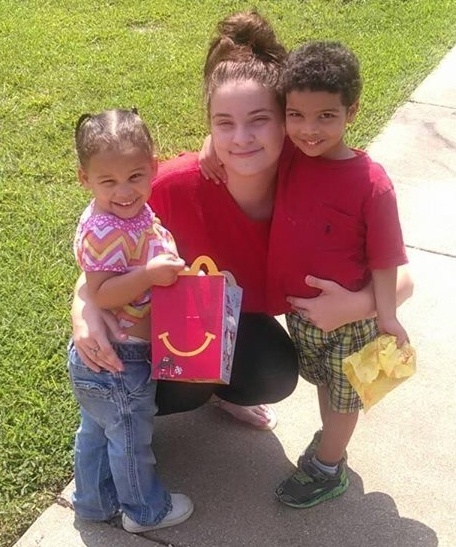 Chilton County social workers have made arrangements with her former foster parents, the ones who have adopted Haydn and Ka’Myia, for the siblings to see each other at least once a month. Haly and Anthony cannot see their other children, though. Their children were unjustly taken from them. 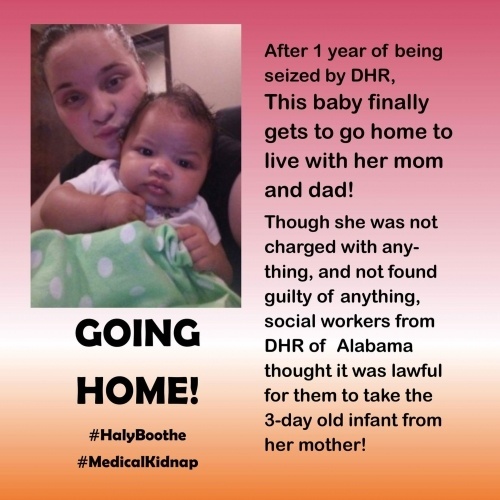 They were born while Haly was in foster care, and DHR refused to allow her to take her own children with her when she grew up and left the foster home. She was kicked out of the foster home, but the fosters kept her children. Haly with Ka’Myia and Haydn at a visit before her rights were severed. Photo provided by family. 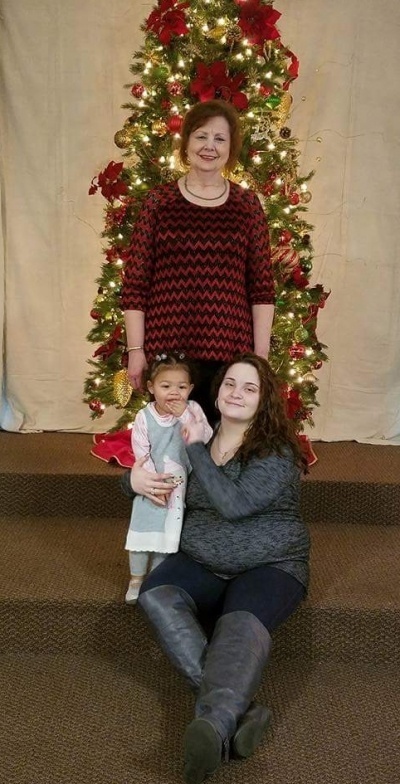 Shelby County DHR terminated Haly and Anthony’s parental rights and adopted Hadyn and Ka’Myia out to people that the family had never met before DHR. It was a cruel, unjust proceeding, and Dee told us that they still hope that it can be overturned. Their appeal was denied. As our previous articles have shown, none of Haly’s children should have been taken from her. The DHR removal of Haly from her grandparents should never have happened either. She was taken kicking and screaming at the age of 12 from the grandparents who had raised her for her whole life. She and her 4 siblings were taken based on false allegations and lies. Haly’s siblings all were eventually returned, but after she got pregnant in the foster care system, she remained a prisoner of the system. Because her children were born into the captivity of foster care, the system assumed rights to her children. It has been an uphill battle ever since, fighting for her right to simply parent her own children. To compound the injustice, Haly was being charged child support for her children, even after her rights to the oldest two had been terminated. Her paychecks were being garnished, leaving her with little to live on. The family has been fighting this as well. Besides fighting in court, Dee Prince sent copies of Haly’s paycheck stubs to the State Department, showing the child support being taken out. Refund checks have trickled back to Haly slowly, and last week, the State Department sent Haly checks for a refund of the bulk of the child support payments paid. Now, after a hard-fought battle, her youngest child is home. Avyonna’s homecoming is the result of media exposure of corruption within Shelby County DHR, as well as a great deal of work by her family and much prayer. Avyonna with Haly and Dee. Photo provided by family. 3 then the Lord your God will restore your fortunes (Or will bring you back from captivity) and have compassion on you and gather you again from all the nations where he scattered you. 4 Even if you have been banished to the most distant land under the heavens, from there the Lord your God will gather you and bring you back. The Lord your God will put all these curses on your enemies who hate and persecute you. 8 You will again obey the Lord and follow all his commands I am giving you today. 9 Then the Lord your God will make you most prosperous in all the work of your hands and in the fruit of your womb, the young of your livestock and the crops of your land. The Lord will again delight in you and make you prosperous, just as he delighted in your ancestors, 10 if you obey the Lord your God and keep his commands and decrees that are written in this Book of the Law and turn to the Lord your God with all your heart and with all your soul.